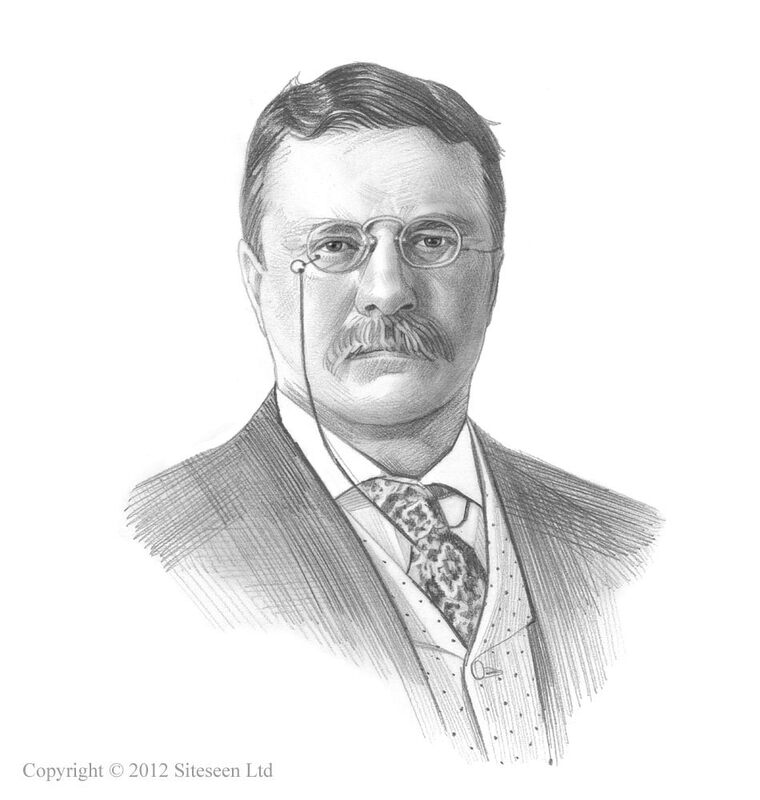 1906 Pure Food and Drug Act: Theodore Roosevelt was the 26th American President who served in office from September 14, 1901 to March 4, 1909. One of the important elements of his presidency was the Pure Food and Drug Act policy. Summary and definition: The Pure Food and Drug Act (PFDA) prohibited the interstate transportation and sale of impure, contaminated food. The law was an important element of Roosevelt's Square Deal Domestic Policy and an important piece of legislation during the history of the Progressive Era. The Pure Food and Drug Act was the first federal law to regulate foods and drugs and a direct result of the scandals of the unsanitary methods used by the food industry that were revealed in 'The Jungle' written by the Progressive author Upton Sinclair. The Pure Food and Drug Act (PFDA) was signed by President Roosevelt on June 30, 1906, the same day as the Meat Inspection Act. The Progressive Era was the period in US History in which pressure groups raised the awareness of political and social injustices and the plight of many Americans who were living in squalid conditions, and earned their living in dangerous and unhealthy working conditions. Unpleasant changes in society had been brought about by rapid Urbanization where people had moved from a rural environment to a congested, dirty city setting. The effects of Industrialization had led to the growth of Big Business and Corporations and the rise of massive factories owned by ruthless, greedy Robber Barons who cared little about people, but a lot about profits. The drive to increase production and improve profits led unhygienic practices that threatened the welfare and safety of the nation. The Pure Food and Drug Act of 1906 and the Meat Inspection Act of 1906 were both widely accredited to a book called 'The Jungle' that was written by the Progressive author Upton Sinclair. Upton Sinclair revealed the unhygienic and unsanitary methods used by the food industry and a scandal emerged about the quality and purity of food sold to the U.S. public. The Jungle was published in 1906 and became an international best seller. Upton Sinclair exposed Chicago's meatpacking industry telling lurid tales of diseased meat, of dead rats and the poison that killed them being thrown into the processing vats to make sausages. The ensuing public outcry resulted in a government investigation which changed the food laws in America overnight. Upton Sinclair was reviled by the industry owners as one of the Muckrakers of the Progressive Era. President Roosevelt sent social worker James Bronson Reynolds and labor commissioner Charles P. Neill to investigate the Upton Sinclair's claims, and make surprise visits to meat packing facilities. President Theodore Roosevelt was appalled by the Neill-Reynolds report - Upton Sinclair's damning revelations were all true. The Pure Food and Drug Act and the Meat Inspection Act were immediately signed into law. What was the Purpose of the Pure Food and Drug Act? The man responsible for drafting the Pure Food and Drug Act of 1906 was Dr. H.W. Wiley, the chief chemist of the US Department of Agriculture. What are the Provisions of the Pure Food and Drug Act? What did the Pure Food and Drug Act do? 1906 Pure Food and Drug Act for kids: What is the Definition of "Adulterated" food? What was the Impact of the Pure Food and Drug Act? The Pure Food and Drug Act was subsequently amended in 1912, 1913, and 1919. The provisions of the Pure Food and Drug Act of 1906 were superseded by the stricter provisions of the Federal Food, Drug, and Cosmetic Act. Why was the Pure Food and Drug Act typical of Progressive Reform?